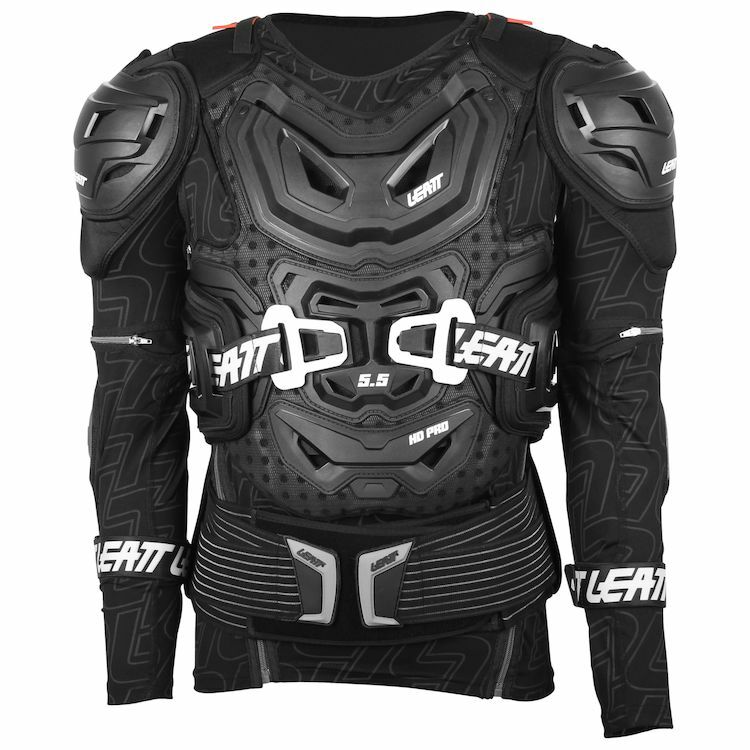 The absolute most protective and comfortable body protector ever is now available from Leatt in the 5.5 Body Protector. SM-MD: Height 63" - 67.75"
LG-XL: Height 67.75'' - 72.5"
2XL: Height 72.5" - 77"
this is a great chest protector, really like the side rib parts. A bit of a chore to get off if worn next to the skin when sweaty. All in all an outstanding product. I know Leatt being a well known name for protection, and I chose this one because it has as well protection around the ribs, which others don't have. It looks cool and looks like a lot of protection. Only CE rated chest protection system I could find for offload use. Needed to replace my old compression jacket since it got tore up in a wreck> This seemed to be an improvement over what I had. Excellent protection compared to the competitors. Need the added protection for next epic adventure ride! Fit is good, great protection and ventilation. Leatt collar integration. side body protection. Want the best and safest! And hopefully works well with my neck brace. Could you please create a video review for this item? Thanks in advance! Could you please make a video review about this item? Thanks in advance! sizing? for this product where are the measurements taken on the body. sm - md 63" - 67.75" where do i measure ???? Does this product need to be paired with a neck brace or can it be used without one? BEST ANSWER: You don't need to use a neck brace. The good thing about the 5.5 is it integrates with the 5.5 neck brace but you can also ride with no brace. 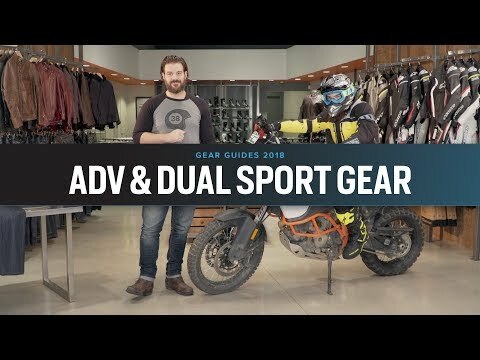 can this be worn on a sport bike? BEST ANSWER: It would not serve you very well in a street type crash but it can be worn on a street bike. Your better off with impact rated equipment that exceeds the impact rating of this particular item. I think for the needs of a street bike pilot, you would want something that is less bulky, more impact resistant at high speeds and it will protect you while skidding across pavement. This will do all those things but not nearly as good as purpose built street bike gear. I do wish you the best of luck. This would serve you better on a dirt bike in the woods. I haven't ridden a new sport bike so I may not be able to answer your specific concern. It is very comfortable, not restrictive, and all of the joints articulate without being noticeable. I really don't think you would have a problem. I wear it every time I ride my dual sport. It does add significant bulk but I expected that. BEST ANSWER: The Leatte 5.5 has superior chest protection. For heart protection you might want to quit smoking. Your sternum protects your heart, and this offers very good sternum protection. Sorry, no clue. Looks as though better than soft jackets. I primarily run enduros in tight woods. It's hard to tell from the pictures, is it ventilated well or will it be hot to wear? It's not that bad for what it is. It can be a little warm depending on how hot/humid the it will be where you are riding that day. I like it because you have the options of taking the sleeves off you don't need them. I think the 5.5 offers the best protection out there right now. I will say this, it is a little bulky. I wear mine on the Interstate. It is cool enough while I am moving. In the hottest times, Alabama, I have worn a cooling vest underneath. Enduro is much more work. Would think a cooling vest needed for temps 85 and above. I wore it during a week long ride in Colorado mountain trails during the first week of August -- it was a hot week... As long as you're moving (even a little) then air flows through it quite well. It has been working well for me, I would not weare it in the open on a hot day just because is black. Otherwise it is very well ventilated. I'm 6'2" but thin (175 lbs)....I'm supposed to get the 2XL? Will it be loose on me? BEST ANSWER: I'm 6'2 and 220 and the xl fits me as I'd perfectly. Note this is a serious protective piece. It weighs quite a bit. I rode 3 hours hard enduro the first day I got it just fine but I was a lot sweater than normal. Definitely destroyed the tree branch I ran in to however???? I've never been called thin! I don't think it would be loose. It's very adjustable. But if possible, I'd give Leatt a call to be sure or wait for someone with your measurements to chime in. If you went with the XL, the body and sleeves may just be too short. Is this compatible with the Leatt STX road neck brace? Hello, thank you for your answer but I needed to know whether or not the STX road brace is compatible.